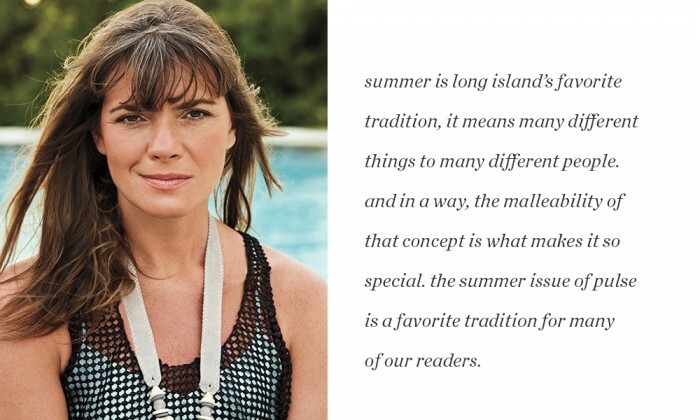 summer is long island’s favorite tradition, it means many different things to many different people. and in a way, the malleability of that concept is what makes it so special. for some it’s the back nine at bethpage or watching their heroes take to the greens for the u.s. open. others look forward to the art shows and hubbub that takes over our museums and galleries, or possibly the throngs of a big show at jones beach. the summer issue of pulse is a favorite tradition for many of our readers for exactly those reasons: the june issue is always packed with the stuff of these things and more. golf commentator ann liguori returns to our masthead to tell us about the fifth u.s. open being held at shinnecock. liguori caught up with jack druga, the club’s head golf pro, to discuss the preparations for the big event. druga also told us about some of the course’s inherent challenges and how the top contenders may fare when they face them. on the north side of our east end, the north fork has become a favorite tradition for both locals and those visiting the region in the summer. the area has long since graduated from a novelty day trip to a place to go for a long weekend with friends or family. in true north fork fashion, the B&Bs have maintained their countrified stylistic postures while elevating their offerings to include modern amenities, fine dining and exciting craft cocktails. keith flanagan, a veteran of the scene, takes a look at six local B&Bs in a room with a view, providing intel on the places to stay that offer everything and also sweet nothingness. kim kavin stokes our voyeuristic tendencies in luxury ahoy about a cache of glory ships. kavin gives us an exclusive peek inside some of the most opulent yachts to sail the seas, and she knows her stuff. these are not only the boats that you’ll be seeing around our shores this summer, they are the ones making waves in the yachting industry by pushing the limits of nautical imagination. the arts and culture also turn up the volume this month. two east end standard-bearers in the visual arts are among our pages. mary gregory catches up with chris siefert of the parrish to find out what the museum has lined up for our viewing pleasure. talk about making waves, siefert worked out the installation of clifford ross’ enormous-scale artwork light / waves that fabulously adorned the exterior of the parrish last summer. if you drove along montauk highway, you couldn’t have missed the visual rhythm of waves lulling across the building’s exterior. further east, guild hall has mounted an incredible installation by laurie anderson. the visual and performing artist takes us up and away with her latest work that is both vintage anderson (think lower east side graffiti) and forward seeking by using v.r. (that prescience also being somewhat vintage anderson). music lovers have a lot to be excited for as well. the return of my father’s place has been whispered about in cult-like fashion for decades. it is realized this month through the efforts of michael “eppy” epstein, and we have the backstory on how it all came together. similar to its first iteration, eppy pulled it off by sheer force of will and the passion of a true believer. if blondie, U2, springsteen and joel are household names, you have him to thank for it. there’s no telling who he’s going to bring to our attention next, but one thing’s for sure: it will be great. lipulse.com fills the spaces between these stories—and the others on these pages—with its definitive daily lineup telling you where to find the best lobster roll, the best hiking path and all the other ways to make summer yours. 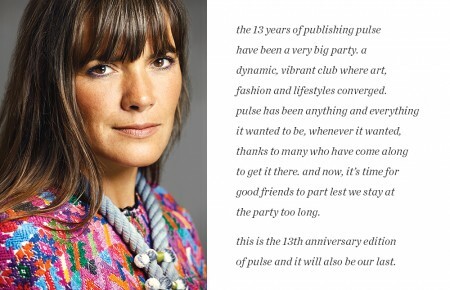 pulse launched as my love letter to long island because every month there is so much to celebrate. but now that summer is here, and there is so much more of all that makes it great, consider this issue my valentine.